The callouts highlight the description of your profile or objectives, and career path (“experience”) and education. The Skills part uses data-driven bar charts. 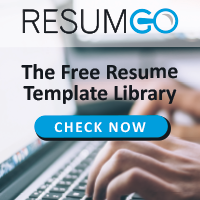 Free resume for Word with 5 color styles: blue, gray, green, orange and purple. Our tip: you could still edit very easily and customize the resume with your own colors, if needed. And even easier and faster, you can also change the color scheme in just 1-click: go to the “Design” tab of the ribbon, and “Colors” to select an existing standard theme color /or customize yours if needed. To create your own color theme, click “Customize Colors”. 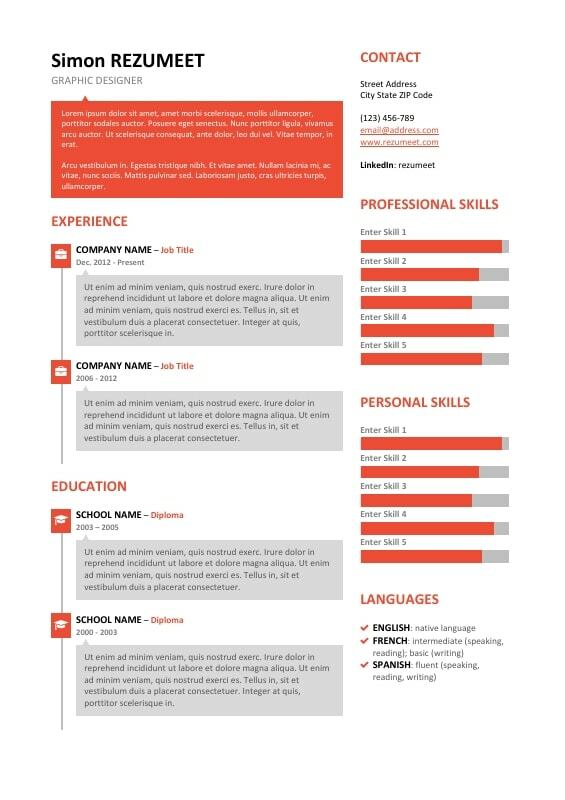 ¹ this resume is designed with the fonts above ; for an optimal result, install these fonts first, and then open the DOCX file. ² you will need to have this font installed to display the icons included in this template. Download the ‘SoHo – Speech Bubble Resume Template’ for free! Thankss.. I love this one. I really don’t understand how to customize the language bar! Can you help me? Hi @bhavik, close your Office documents first. Go to the FontAwesome website, download their package (“Download Free” button), extract the zipped files to your computer. Then, open the file “use-on-desktop”, and double-click the OpenType font file(s) and install it/them. Open MS Word and your DOCX file… now you should see the icons and insert yours if needed.